When you take the plunge into vegan town, you just have to accept there are many creature comforts that need to be given the old heave ho. Let’s be real—some of those things will be your favourite foods #sorrynotsorry. That’s why we decided to give you the low down on everything that’s accidentally vegan. First and foremost, I want to throw out the fact that not all of these are going to be healthy, but hey, there are times in life when only an entire pack of double stuffed Oreos will do, and this list is for those times. Jokes—it really is vegan but you already knew that and it’s an awful stereotype—please keep reading. If you’re a vegan, then you’ve definitely had your fair share of Oreo binges after a break-up, terrible day at the office, Tuesday night. It’s like the universe is rewarding you for your veganism. See, vegans can have fun at breakfast time without bacon! 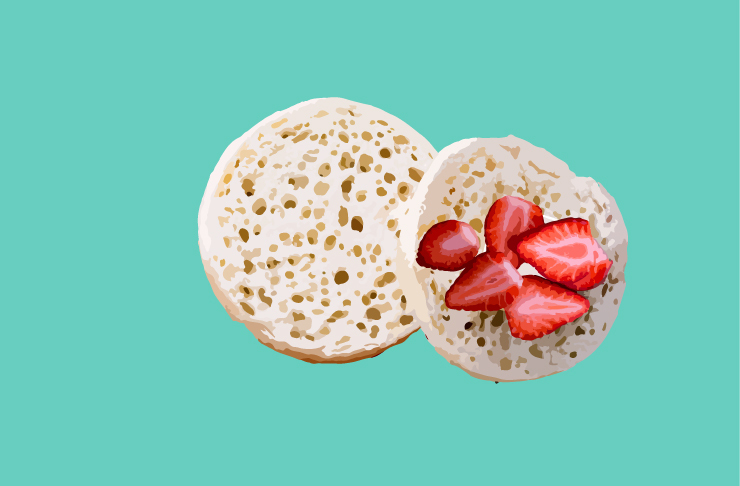 Crumpets have endless topping options and we love that they forgot to add any animal products, because we’d eat them every single day if we could. Truth be told, any dark chocolate worth their cacao should be vegan, but this one is my fave because it’s affordable, damn delicious and available at my local supermarket (handy when those crazy cravings suddenly kick in). Am I the only one who has vivid memories of hoeing into these bad boys every Saturday morning at netball, or at the Easter Show each year? Well, they’re vegan guys, so you should definitely get the Airheads show bag this year—it’d be rude not to. Another tick in the vegan box is bagels, which are generally made without butter, eggs, milk or any of the other things that vegans avoid. 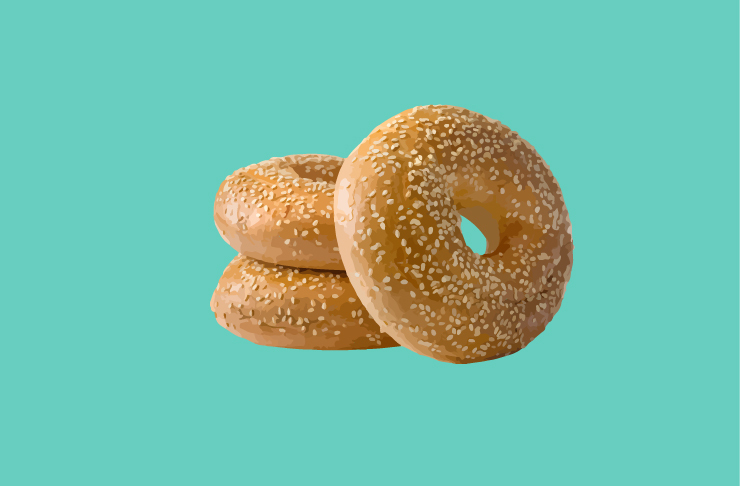 Because a life without bagels is really no life at all, right? Praise the Vegemite makers who had the foresight to make vegemite friendly for all (except if you’re Coeliac—this one’s out unfortunately). It’s made in a dedicated production line, so it never comes in contact with any animal products. Win! You’ve got to be careful with this one because it’s very specific flavours that are vegan—proceed with caution and then eat the entire packet. While you definitely have to be careful at your local Italian restaurant, surprisingly most store bought pasta is vegan, probably because it’s cheaper to produce this way and hey, we aren’t complaining! 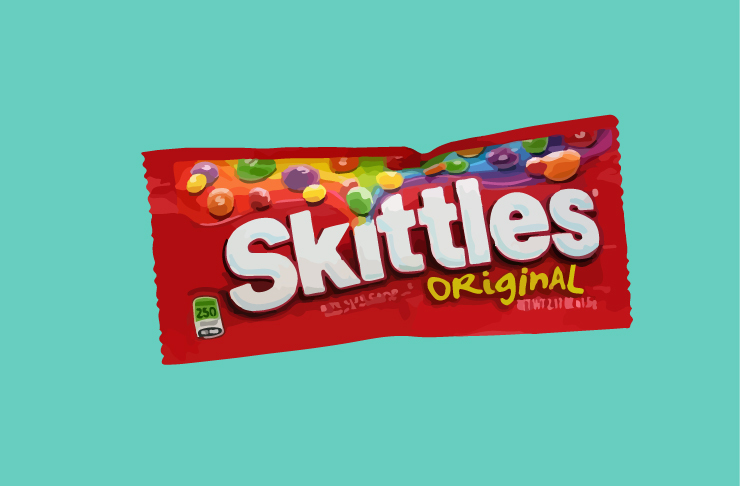 There is absolutely no need to give up all of the dreamy candy from your childhood, because Skittles are vegan and that is cause for celebration. We don’t think they planned it this way, but we’re sure glad that they’ve accidentally given us the gift of cruelty-free super bombs. If you haven’t tried these yet, then I’ll try really hard not to hold it against you, because they’re bomb. The Lotus biscuits are caramelised cinnamon deliciousness, perfect for tea dipping and there’s also a spread version, which is your best excuse to have them for breakfast. Control yourselves people, because it’s only the Cola and Orange flavours that are vegan, so you might want to give the others a miss. But do you really need any other flavour than Cola anyway? We’ll admit that it kind of freaks us out that this one doesn’t have actual butter in it, but if it means that we can still make delicious puffed desserts and pies, then who are we to argue? Keep an eye out for the Borg’s Organic puff, Antoniou fillo and Pampas spring roll pastry. Here you were thinking that you’d have to give up great gravy. Nope, Gravox is vegan and 100% necessary with hot chips—just saying. You can also adopt a police dog and we feel that you would enjoy that.